Moxxie has the cutest papers! Doesn't this card look like it has a real chocolate bunny on it? There are many pieces to all of Moxxie's collections. 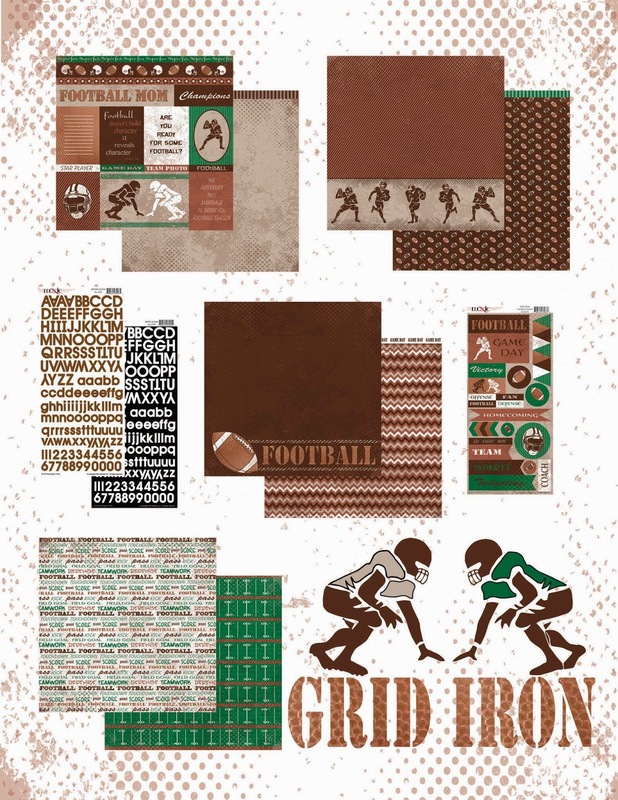 There are several double sided papers, die-cuts and stickers. I picked my pieces from the "Spring Has Sprung" collection. I picked "Cottontail", *he is just too sweet* "Spring Fling" *such a pretty blue* and "Bluebird" *i think it looks like dyed Easter eggs* as my papers and the Double Sided Die-Cuts border *that looks like a fence*. 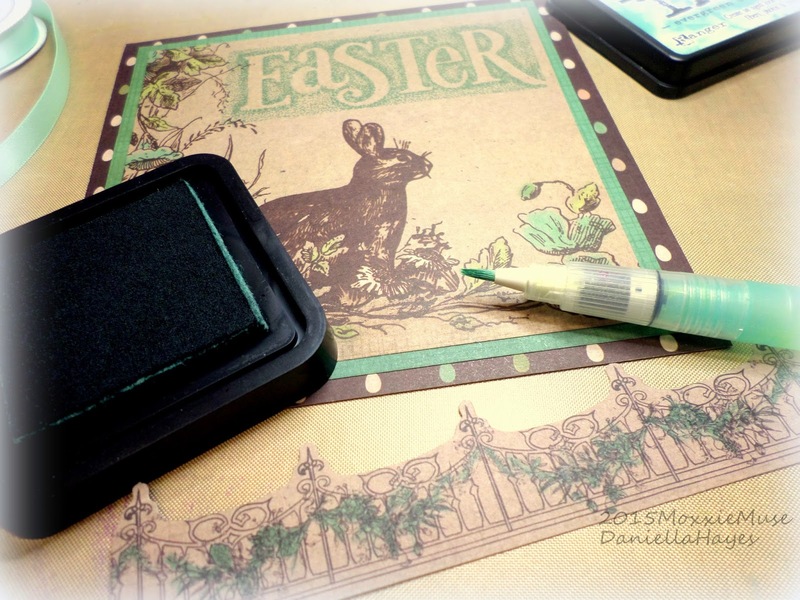 I also got my Easter stamps (sorry I don't remember who made them), Ranger Distress Ink "Evergreen Bough", Tombow Stamp Runner Dot Pattern Adhesive and a water brush. I took out ribbon, but didn't use it. 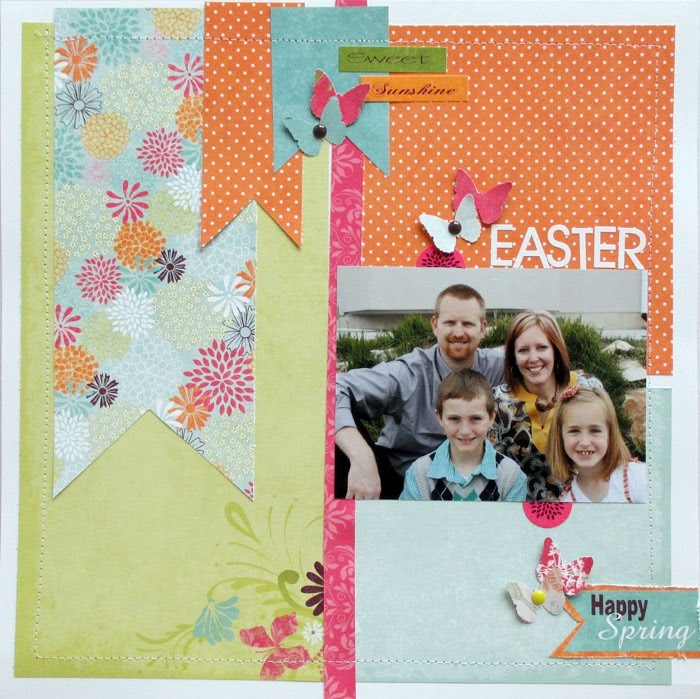 I cut and layered all of the papers on a card base and stamped "Easter" at the top. Then, I colored the greenery on the fence with the same ink and a water brush. I adhered it across the bottom of the card. I had to, literally be restrained hold myself back from adding splashes of paint, ribbons, gauze, buttons, ink..... you get the point. But I wanted the artwork on the paper speak for its self. It is just that beautiful!! Thanks for visiting! 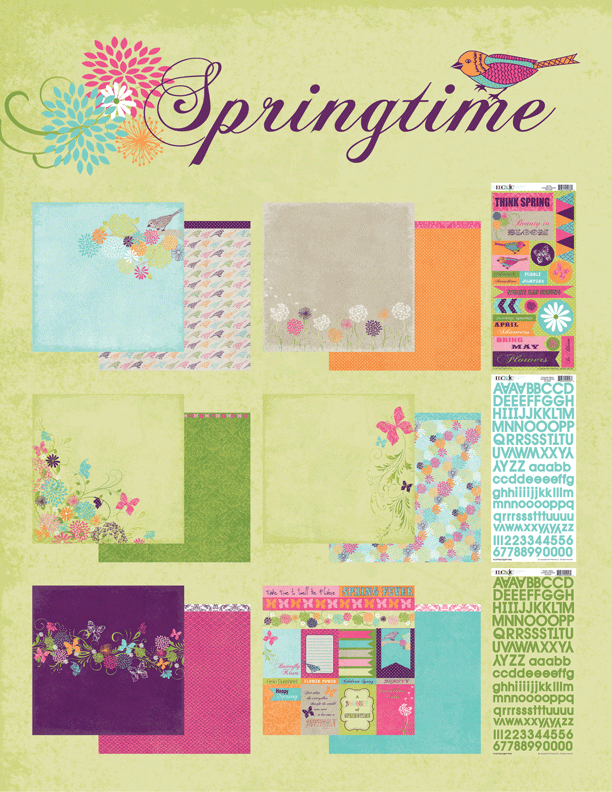 Please look for Moxxie products in your Local Scrapbook Store or online. 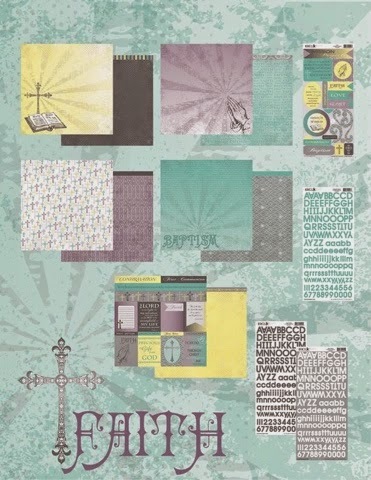 I know Scrapbook.com and other online shopping sites carry Moxxie. Hi all, happy almost easter!!! So glad spring is finally here. How about you? 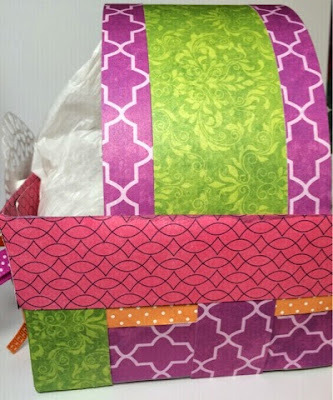 Today i am here to share a fun project i made using the bright happy colors of the springtime and queen of the crop collections. So i started by making a whole bunch of 1 inch by 12 inch strips (a great way to use up scraps too) and then layed them out to make a base . Then i weaved the other strips in between. When i was happy with the size i folded up a couple inches to become the sides . Lastly i took wider strips i had and used them to make the handle and to cover the raw edge if my basket sides. 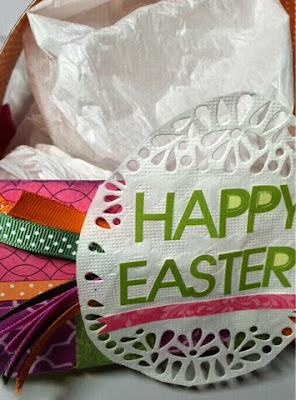 Lastly, i added a ribbon spray i made then pop-dotted a egg doily over it with the green alphas to finish it with happy easter. with my Granddaughter. This was her first Easter. I chose to create with the new Springtime line. that I painted to match the colors in the line. 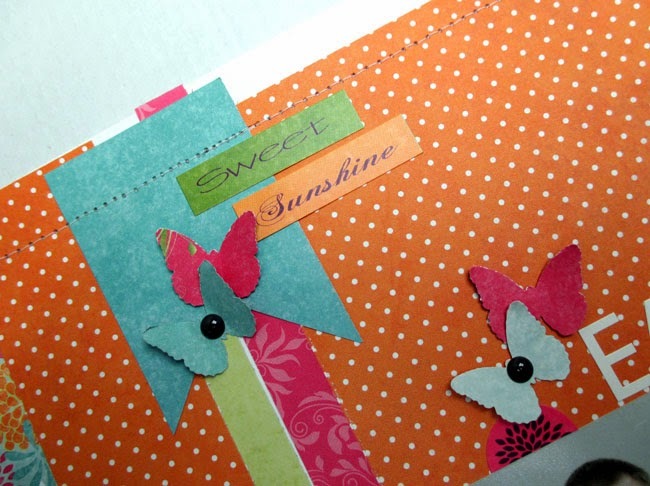 I also used a scalloped edge punch to add some extra layers. 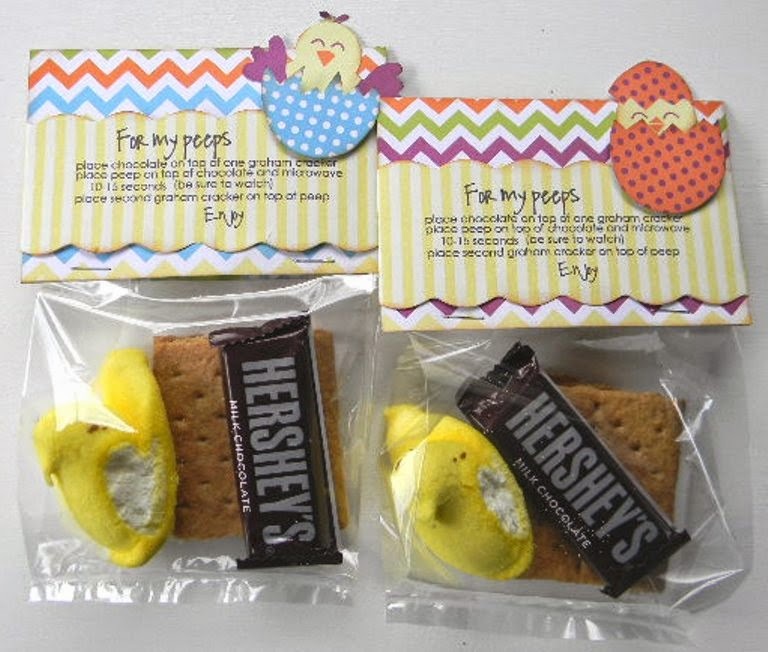 and what would Easter be without including the eggs. Hi All! Renee from Scrap Owl back with some more Moxxie fun! 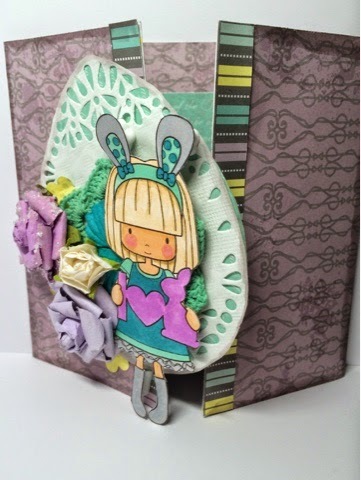 This time I'm sharing some springtime and Easter cards that I made with Moxxie's Homespun Easter collection. 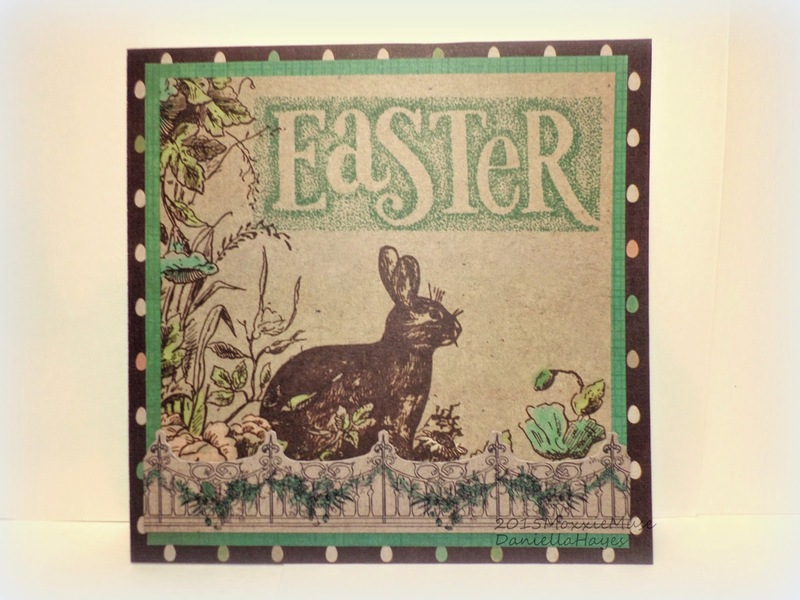 Now I know I just told you that I used the Homespun Easter collection for all of these cards, but I have to admit that wasn't completely true. 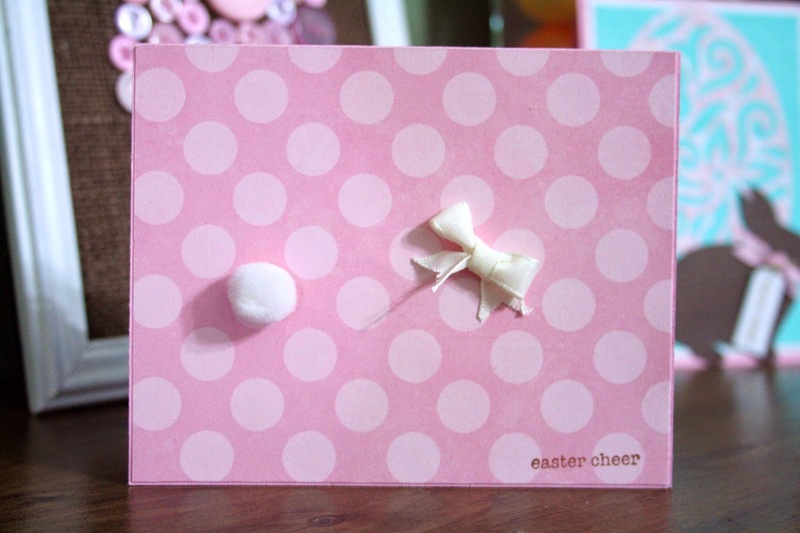 For the sentiment on this card I used one of the awesome rub-on's from Moxxie's Easter collection. However, the rest of the card is made completely from Moxxie's Homespun Easter. 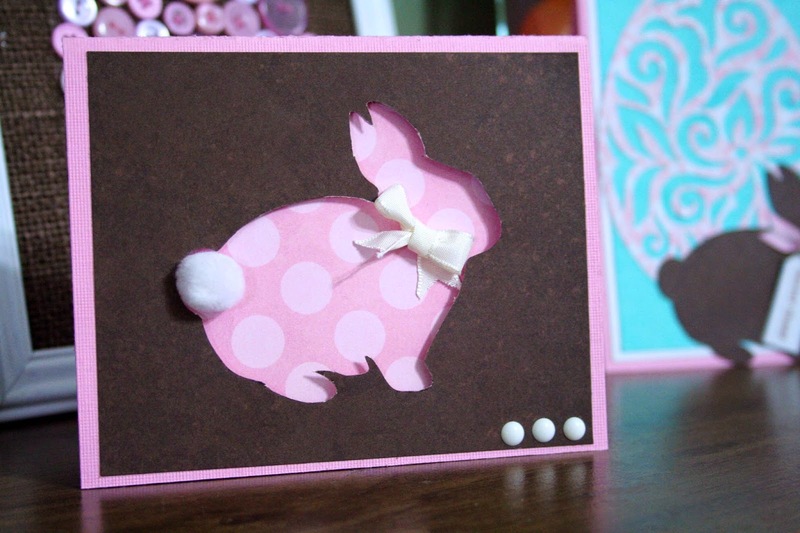 I had so much fun dressing up my little bunny friend and adding just a few special touches to make this card shine. 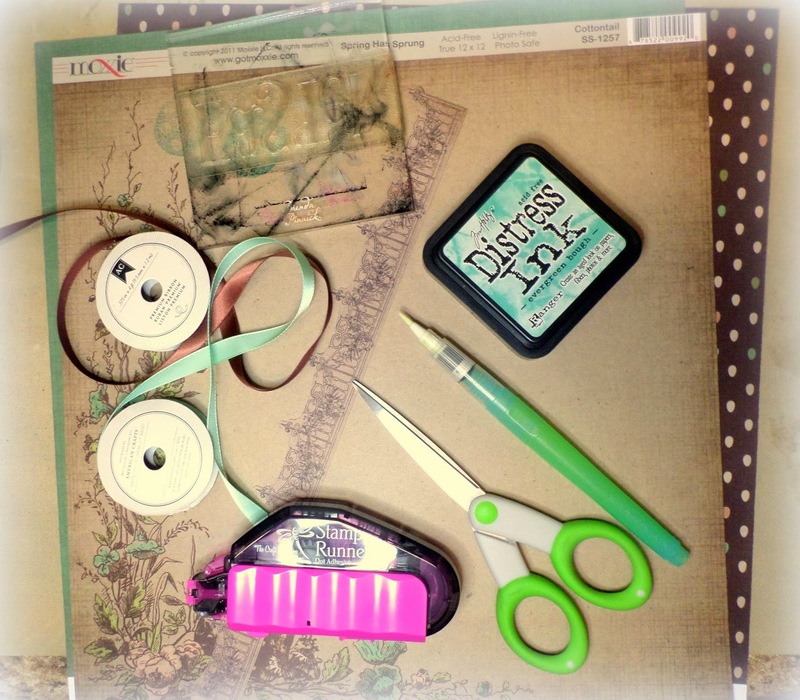 One of the things that I love about the Homespun collection is you don't really have to do too much to make it look amazing. The fact is, the design itself really does all the work. The cross-stitch patterns make the designs really stand out. Therefore, it so easy to create some fun, interesting, and clever greetings. 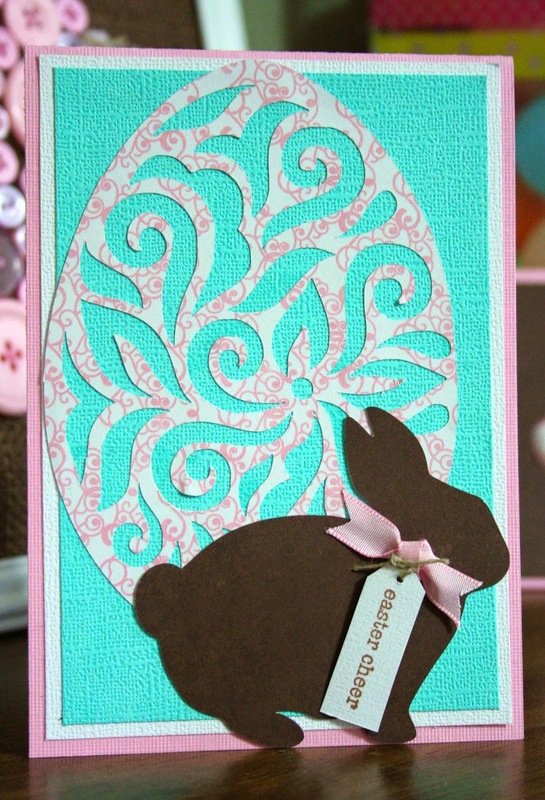 For my last card, I have once again paired a rub-on from the Easter collection with Moxxie's Homespun line. 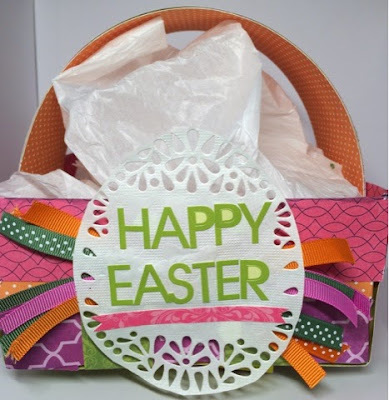 The pink swirled bunny and Happy Easter sentiment really pop when coupled with some white cardstock and foam tape! 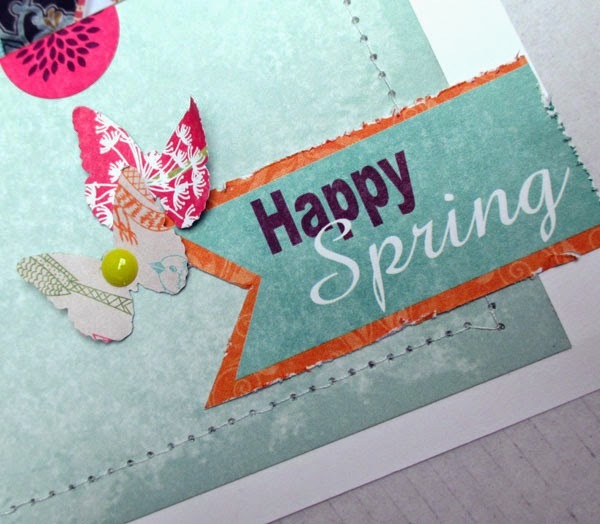 I hope you are enjoying Spring and have some time to get crafty! It's crazy to think that Spring is on it's way and creeping up on us so quickly. I decided to grab the Springtime collection and scrap an older Easter photo of our family (photo of when we were just a family of four). Usually I totally distress up my pages, but with the bright colors and soft feel, I decided to go with a "clean" look to the page and papers. Thanks sooo much for stopping by and I'm super excited for those spring colors to start popping up. 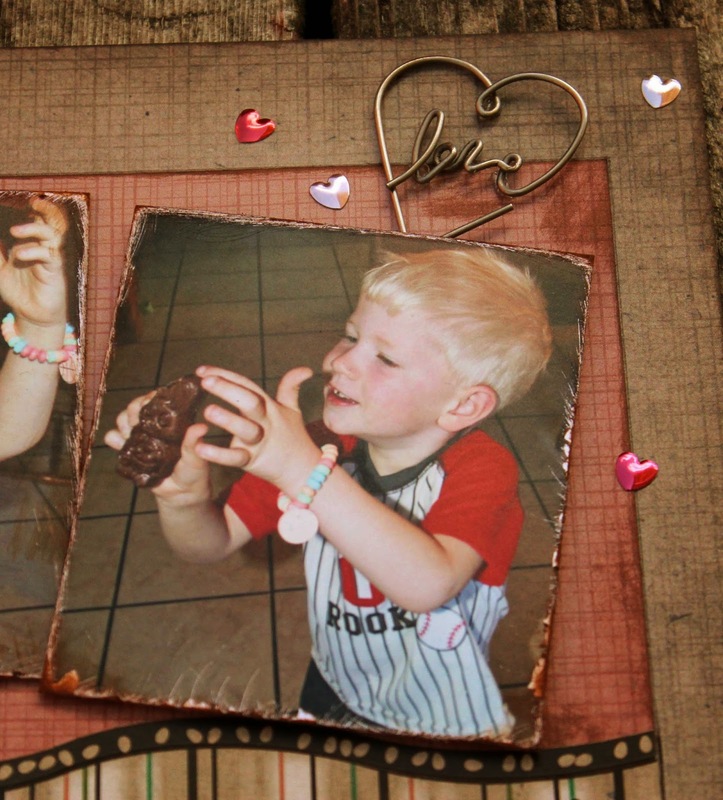 This little guy is a total chocoholic. It's so funny and cute! This line doesn't exactly scream boy, but this just shows you that you can do whatever makes you happy. 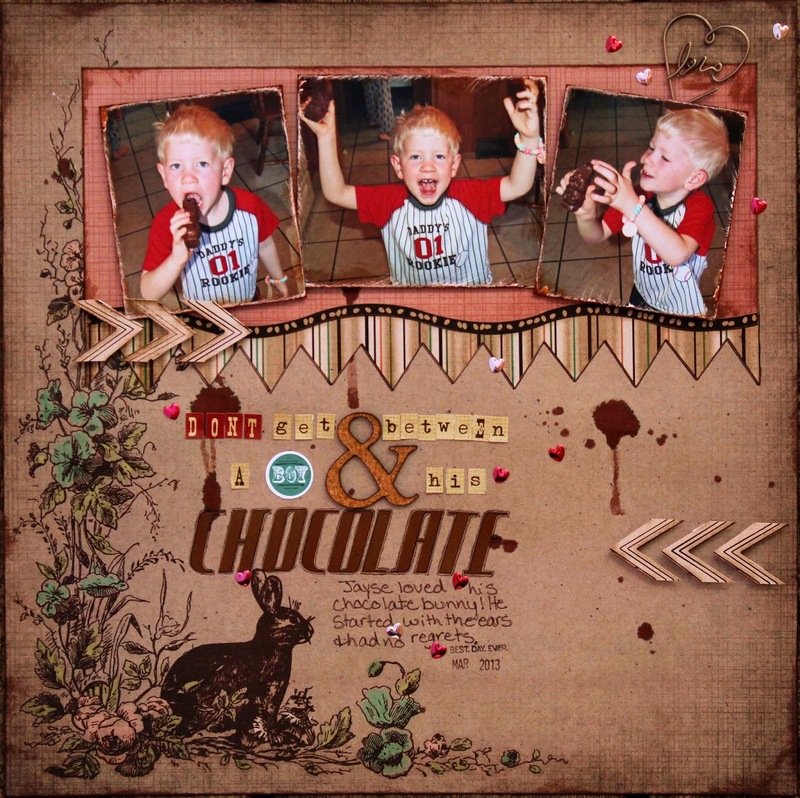 I "dirtied" my background with brown mist splatter and inked all my paper edges with Vintage Photo distress ink. 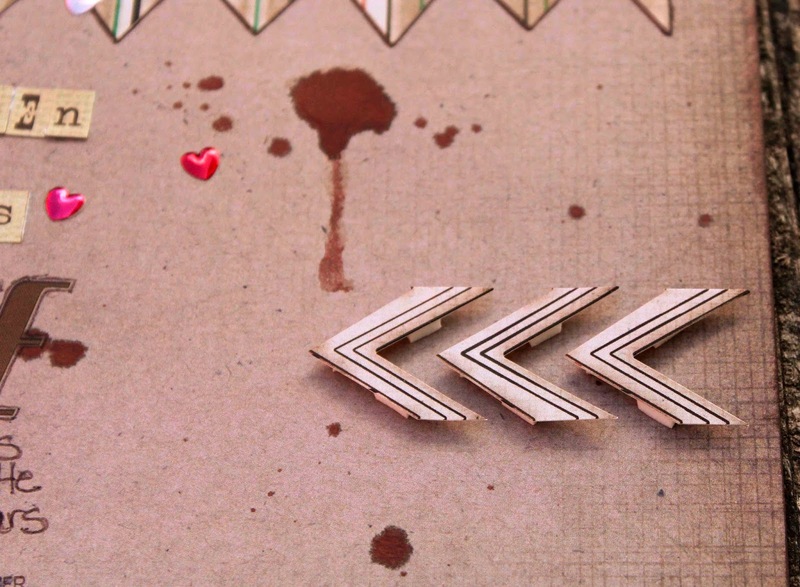 These chevrons were a border sticker that I cut apart and then adhered with foam dots to pop them off the page. One of my favorite things to do to my photos is sand the edges a bit. Gives it a really cool look and here I added ink around the edges too. I also popped my photos off the page. I used different alphas and the large &amp; sign to have a bold title. (great way to use up alphas too!) 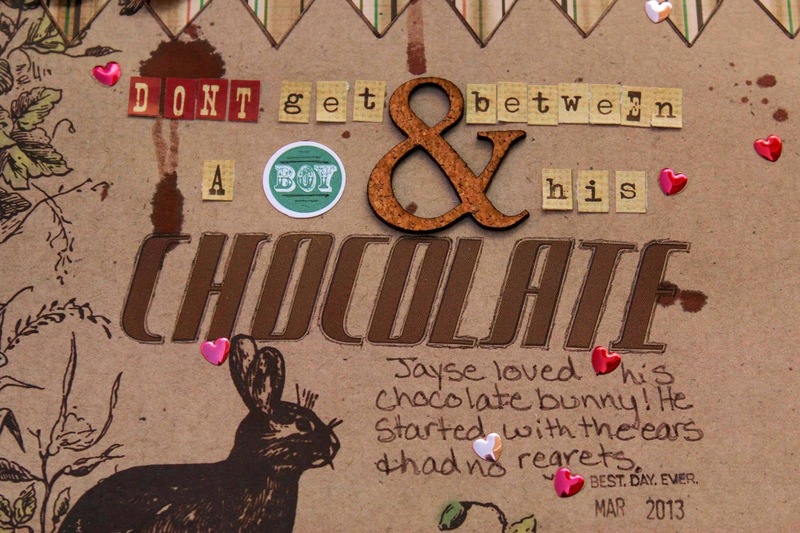 Chocolate is Moxxie's brown rub-on alpha, I outlined them with a brown marker to help them stand out more. We'd love to have you share your Moxxie creations with us on the facebook page and don't forget to submit for our Design Team call, going on right now!